In this week’s issue… Vermont stations stay in the family – “Vault” opens in Binghamton – NJBA, MAB name hall of famers – So long, Tootall! Corm (shown at left during his brief detour into auto sales) is promising no immediate changes at 101 the One or WLVB, but the transition from the Squier family will mean one huge change at WDEV with the immediate departure of Eric Michaels. He’s been Squier’s right-hand man at the station for years, most recently serving as executive vice president, and had reportedly been trying himself to put together a deal to acquire the stations. His departure after 30 years with the station will be noticed both off the air and on, since he’s been one of the station’s key voices for years. One voice who won’t be disappearing from WDEV is Ken Squier himself; Cormier says he’s going to be a welcome part of the Radio Vermont family for as long as he wants. We’ll have more on the Radio Vermont transition in the weeks to come as we learn more about the purchase terms. The radio scene in NEW YORK‘s Catskills made a big shift with Bold Gold Media Group’s $1.6 million addition of Watermark Communications’ three-station group. Bold Gold, which owns country “Thunder 102” WDNB (102.1 Jeffersonville), is adding AC WSUL (98.3 Monticello) and classic hits WVOS-FM (95.9 Liberty) and AM simulcast WVOS (1240 Liberty) to its cluster, creating a much bigger presence in the region. For Vince Benedetto’s Bold Gold group, the Catskills now join its home base in Wilkes-Barre/Scranton as a cluster market; over in northeast Pennsylvania, Bold Gold does a sports simulcast on multiple AMs and translators, as well as FMs with AC and satellite-fed talk; in the Poconos, Bold Gold has AC WDNH (95.3), classic hits WYCY (105.3) and news-talk WPSN (1590). Bold Gold says the deal with Watermark should close by the end of this year. It’s not clear yet whether WDNB will join WSUL and WVOS at their studios just off Route 17 – or what will become of WVOS(AM), which is likely to split from its FM simulcast and take on a sports or talk format accompanied by a translator if Bold Gold follows its usual pattern. 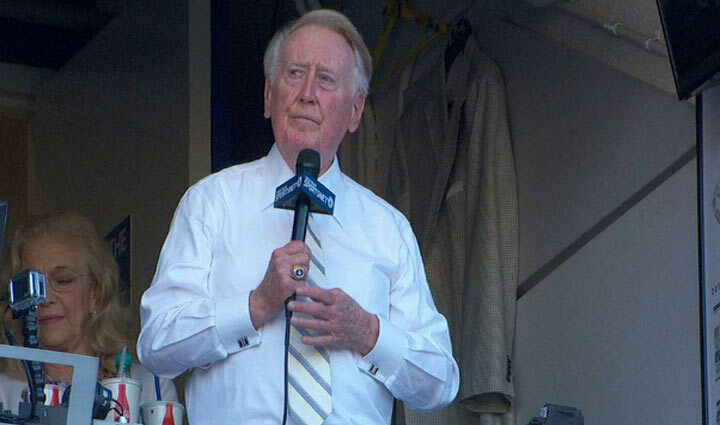 *And of course we can’t let the impending retirement of Vin Scully go by without recognizing his role in New York radio – not just as the voice of the Brooklyn Dodgers from 1950 until 1955, but also his education before that at Fordham University, where he was an early part of WFUV (90.7). We’ll never see Scully’s likes again, and he’s going to be deeply missed on both coasts. 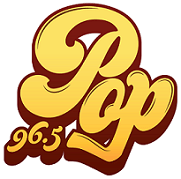 *In CANADA, there’s a format change to report in the Gatineau/Ottawa market, where CFTX (96.5) drops “Capitale Rock” (and a daytime simulcast of French-language sports CKLX 91.9 Montreal) to go to “Pop 96.5,” playing hits from the 1970s through the 1990s. The flip on Thursday at noon was the second in just two weeks in the market, following the transformation of blues-rock “Dawg” CIDG (101.9) to an alternative rock format as “Rebel 101.7” on its new frequency. *After nearly a year’s absence, Family Radio is returning to the radio dial in southeast PENNSYLVANIA and southern NEW JERSEY with the purchase of WPEN (950 Philadelphia) from Greater Media. A year ago, it appeared the network’s parent company, Family Stations, Inc., was nearing its own end times. The California-based religious broadcaster, once among the nation’s biggest, had spent millions of dollars on an ad campaign pushing founder Harold Camping’s warning that the apocalypse would begin in May 2011 (“It Is Guaranteed!,” boasted the billboards) and the network had put two of its big commercially-licensed signals up for sale to try to make ends meet. And now that Family appears to have stabilized its finances under new management (Camping, now 91, is in poor health and largely removed from day-to-day operations there), it’s coming back to Philadelphia – and solving a bit of a quandary for Greater Media, too. Earlier in the decade, Greater had invested millions of dollars in upgrading WPEN’s AM signal to become more competitive in the market, boosting daytime power at the station’s existing site in the Overbrook neighborhood and relocating 950’s nighttime service to the Germantown transmitter site of daytimer WWDB (860). 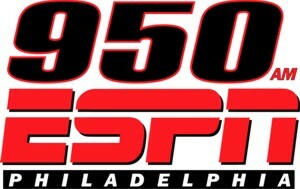 While the technical improvements indeed made 950 available to more potential Philadelphia listeners, the future was clearly on the FM dial – and three years ago, that’s why Greater blew up top-40 “Now 97.5” (WNUW Burlington NJ) and replaced it with a WPEN-FM sports simulcast. “97.5 the Fanatic” has never quite edged out CBS Radio’s WIP (even before WIP made its own AM-to-FM move) in the ratings, but it’s been a success for Greater nonetheless, recently landing rights to 76ers basketball and Flyers hockey, should that season actually take place. *While Greater Media spins off its excess AM in Pennsylvania, Entercom is finding a new use for its extra AM signal in MASSACHUSETTS. It’s been just over a year since Entercom launched WEEI-FM (93.7 Lawrence) in the Boston market, and the rumors of a flip at WEEI (850 Boston) have been percolating almost from the moment the FM simulcast was first announced. Conventional wisdom suggested Entercom would flip 850 to a full-time ESPN Radio outlet, and conventional wisdom prevailed – once 850 was all done broadcasting the disaster that was this year’s Boston Red Sox, anyway. The flip will happen on October 5, kicking off with a live broadcast of ESPN’s “Mike and Mike” morning show from Gillette Stadium. 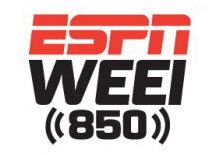 The WEEI-ESPN deal includes a link from ESPN’s own ESPNBoston.com site to WEEI’s live streaming and from WEEI.com to ESPN’s video streaming. Entercom says the Sox will be heard in 2013 only on 93.7 in the Boston market. That’s now a pretty decent FM signal in most of the market – but we suspect that the Sox fan base (if there are any left by then!) will be registering more than a few complaints about that FM signal in areas such as the Back Bay and Newton/Needham where 93.7 can be drowned out on cheap radios by the market’s big master FM facilities, but where the 50-kilowatt 850 signal booms in loud and clear. *Bouncing back to New England once more, October 1 is the date for big schedule changes at NEW HAMPSHIRE Public TV. Beset by budget difficulties after the state pulled its $2.7 million in annual funding, NHPTV is partnering up with Boston’s WGBH to manage many of its operations, including its programming – and WGBH plans to provide New Hampshire viewers with essentially the same schedule on NHPTV’s two channels that it already runs on its own WGBH 2 and WGBX 44 channels. When those schedule changes take effect, NHPTV will be pulled from the Massachusetts cable systems that have long carried it, while WGBH will vanish from cable in New Hampshire, making room for additional feeds of WGBH’s World, Create and Kids multicast services. *A MASSACHUSETTS judge barred WRKO (680 Boston) Howie Carr from jumping ship to rival talker WTKK (96.9 Boston) last week, but the decision didn’t make the host’s future much clearer. Suffolk Superior Court Judge Allan van Gessel ruled Wednesday, just hours before Carr was to have started his WTKK morning shift, that while WRKO owner Entercom couldn’t enforce the non-compete clause in Carr’s contract, it could enforce a clause that allowed WRKO to match any competing offer for Carr’s services. What does “match” mean? There’s the seven-million-dollar question as the legal battle keeps plodding along: would merely matching WTKK’s paycheck be enough to force Carr to stay with WRKO, or are there other factors at play, too, such as the Red Sox preemptions that have annoyed Carr all summer, not to mention WTKK’s FM signal and the conspicuous absence of Carr’s nemesis Tom Finneran over at the Greater Media talker. In any case, WRKO succeeded in barring Carr from his scheduled Thursday morning debut on WTKK, but for now that’s the extent of the victory. Carr was already off the air at WRKO last week while the lawsuit was being heard, and he’s not rushing back to the WRKO studios now, either, which leaves substitute hosts filling the afternoon slot both there and on the remaining affiliates of Carr’s syndicated show. Over at WTKK, the picture’s only marginally brighter. While the station issued a statement saying “we are disappointed that Howie will not be on WTKK tomorrow, but we are hopeful that he will be a part of the Greater Media family in the very near future,” there’s every reason to expect Entercom to drag the legal wrangling out as long as possible, which leaves WTKK filling its morning drive slot with substitute hosts as well. That’s Michael Graham, for the moment, with weekender Michelle McPhee handling Graham’s usual 10-noon slot. *A venerable NEW HAMPSHIRE callsign is no more. The WKBR calls survived well over half a century of radio turbulence, moving from 1240 to 1250, going silent for a while in the nineties, and enduring a merry-go-round of owners and formats in recent years. Now “The Game,” as the Manchester sports station is known, has dropped its heritage calls, becoming WGAM. Those calls move from Absolute Broadcasting’s sister station on 900 in Nashua (itself a survivor of gale-force radio turbulence in recent decades), which becomes WGHM. Meanwhile, another heritage Granite State call has returned: WNTK (1010 Newport NH) is back to its old calls, WCNL, 19 years after dropping them. The WNTK calls live on at Bob Vinikoor’s sister FM on 99.7 in New London, of course. *Our NEW YORK news begins out on eastern Long Island, where the end of business talk on WBZB (98.5 Westhampton) and its call change to WBON was followed by a one-day simulcast with sister station WLIR (107.1 Hampton Bays) – and then by Thursday’s launch of “La Nueva Fiesta,” with a Spanish tropical format under the programming and operations helm of New York/Long Island radio veteran Vic Latino. He’s also serving as operations manager for the third station in the Morey cluster, dance “Party 105” WDRE (105.3 Calverton-Roanoke). Latino had worked at an earlier incarnation of 105.3 before heading to New York and WKTU a few years back, then to XM last year. *Now that Moses Znaimer has sold his TV holdings, he’s starting to build a radio empire in CANADA. In addition to CFMX (103.1 Cobourg/96.3 Toronto), the classical music station he recently bought and relaunched under new calls CFMZ, Znaimer announced last week that his MZMedia group is buying CHWO (740 Toronto), the 50,000-watt adult standards station that’s widely heard up and down the East Coast. The sale ends more than half a century of Caine family ownership of CHWO, in both its original incarnation as a local Oakville station on 1250 (that facility’s now religious CJYE, still held by the Caines) and, since 2000, on the 740 signal that used to be the CBC’s flagship, CBL. Crossing the sound to NEW YORK, Jay Diamond’s time at new talker WLIE (540 Islip) proved to be short, indeed; the former WOR talk host left his weekend slot there (of his own volition, he says) after just a couple of weeks. There’s a new AM station about to hit the air in the Mohawk Valley: we’ve heard reports that Michael Sleezer’s new WFNY (1440) in Gloversville is testing; by next week, perhaps we’ll even have a format to tell you about! One PENNSYLVANIA format change to report, and it’s a small one: WMAJ (1450 State College) dropped standards for ESPN sports, formerly heard in that sports-crazy market on weekends via crosstown WRSC (1390)/WBLF (970 Bellefonte). It looks as though one of NERW’s favorite NEW JERSEY AMs will be changing format soon: we told you a few months back that Herbert Michaels, owner of WKMB (1070 Stirling) had died, and now we can tell you that his estate and K&M Broadcasters are selling the station to King’s Temple Ministries, Inc. for a reported $400,000. We’ll begin this week with the first format change of the new era at American Radio Systems. While it’s almost certainly unrelated to the pending sale to CBS, the modern AC format at WSRI (96.7) in Rochester, NEW HAMPSHIRE came to an end earlier this week. In its place has been a series of one-day simulcasts of other ARS stations from the Seacoast and Boston markets (so far, WEEI, WAAF, and WERZ have been heard there) with promises of a brand-new format Monday morning (September 29) at 10am. We’ll let you know what shows up on 96.7 when the dust settles. Speaking of settling dust, we now know a bit more about the CBS/ARS deal announced last Friday. CBS will pay $1.6 billion in cash, while assuming another $1 billion in ARS debt, for ARS’s radio stations. Not included in the deal is the American Tower Systems subsidiary, which stays with Steve Dodge. ATS has been growing at an impressive rate in the last few years, and with the need for HDTV antenna space threatening to push many FM stations off their current towers, ATS is well positioned to pick up a lot of business in the near future. A Boston Globe article about HDTV last Sunday noted that WBZ-TV is planning to raise its Needham tower several hundred feet to add room for HDTV antennas for WBZ-TV, WGBH-TV, WGBX, and WCVB. It also noted that WHDH-TV has plenty of room on its tower — a consequence of channel 7’s long-standing policy not to rent tower space to anyone. Could a format change be in the works at Buffalo’s WWKB (1520)? The shell of the once-great WKBW is reportedly about to dump its Real Country satellite format in favor of sports. The Buffalo News’ Alan Pergament reports the format would include The Fabulous Sports Babe from 10-1 and Jim Rome from 1-4, with One-on-One Sports most of the rest of the day. Rome and the Babe were formerly heard on sister Sinclair outlet WGR (550). Meanwhile, former ‘KB jock Tom Shannon is coming back to Buffalo, joining oldies WHTT-FM (104.1) beginning October 6 for afternoon drive. This is Shannon’s second return to the market following a comeback at ‘KB in the 80s. He had been working in cable TV in Tennessee. Afternoon jock Craig Matthews moves to evenings at Oldies 104, displacing Ray Geska, who becomes a morning show producer for Danny Neaverth.